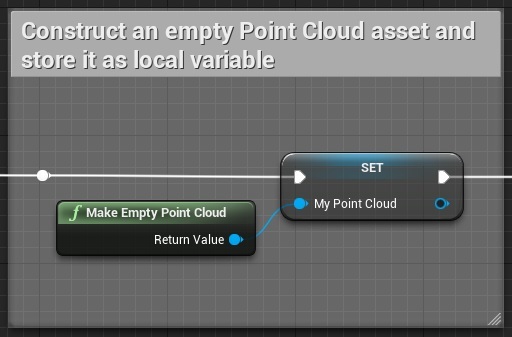 Once the function is ready, add a local variable and call it MyPoints. Set the type of this variable to Point Cloud Point and convert it to an array by right-clicking on the blue bar symbol to the left of the name. This array will hold our intermediate data. Create local array to hold the data. Now we can proceed to build the actual process, starting with populating our newly created array. For the purpose of this example, the array will be injected with 1000 randomly positioned, red points. 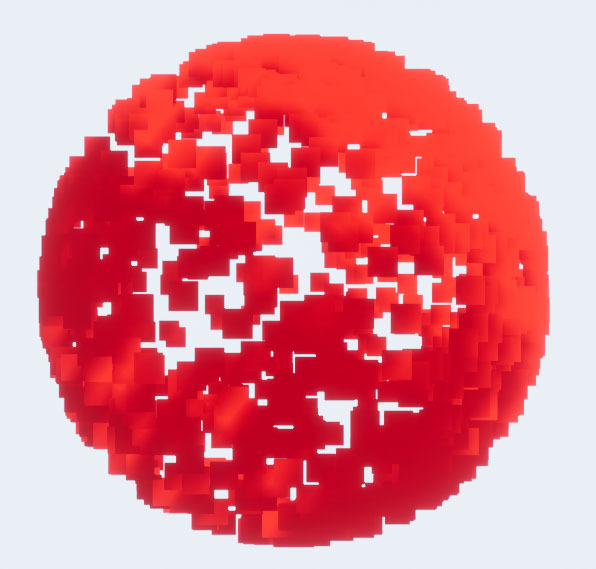 Populate the array with 1000 randomly positioned, red points. Now we need to construct an empty Point Cloud asset to assign the point data to. We will also save it as a local variable for later use. Construct an empty Point Cloud asset. 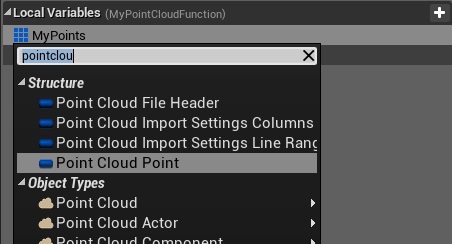 Following this, we need to assign our populated array as data for this Cloud. 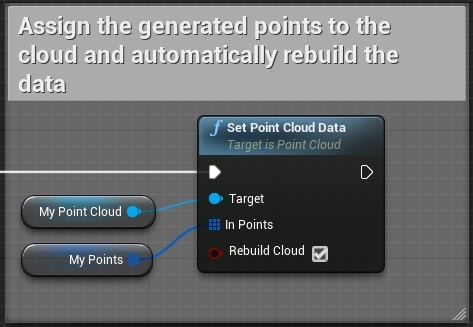 We will also automatically rebuild all internal structures for the data. Alternatively, you can opt for not rebuilding the Cloud straight away, and instead manually call the Rebuild function at some other time.